Update your XSR with latest firmware. Don’t need to break the RX cover. 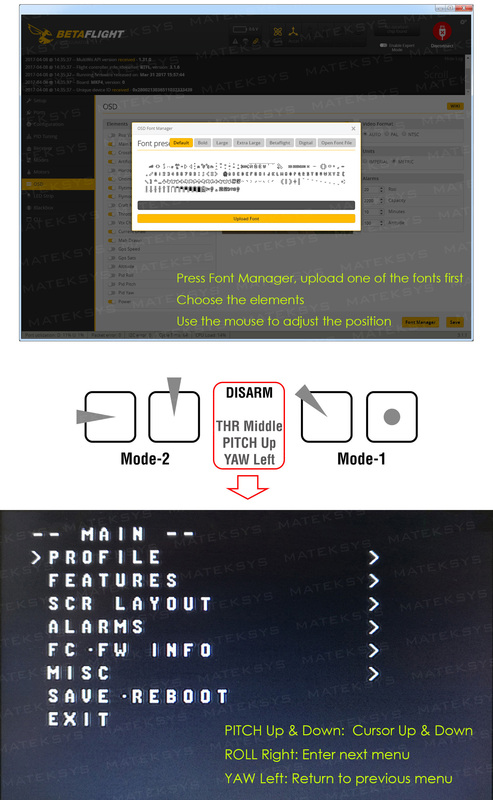 Use the inverted TLM signal on the socket. 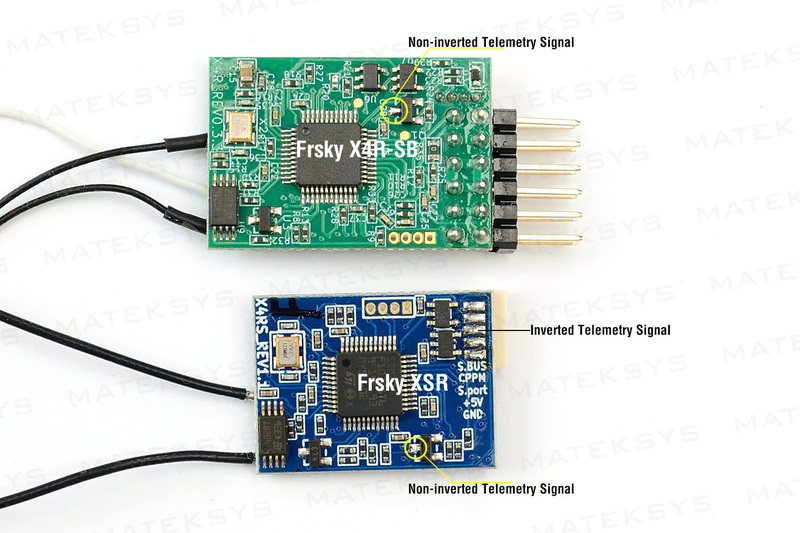 Need non-inversion hacks to get the Frsky SmartPort working. Press & hold the boot button & connect the USB to your computer. Then release the button, the FC will enter the Boot Mode. The default setting for Dshot idle percentage was changed in the new BF version. 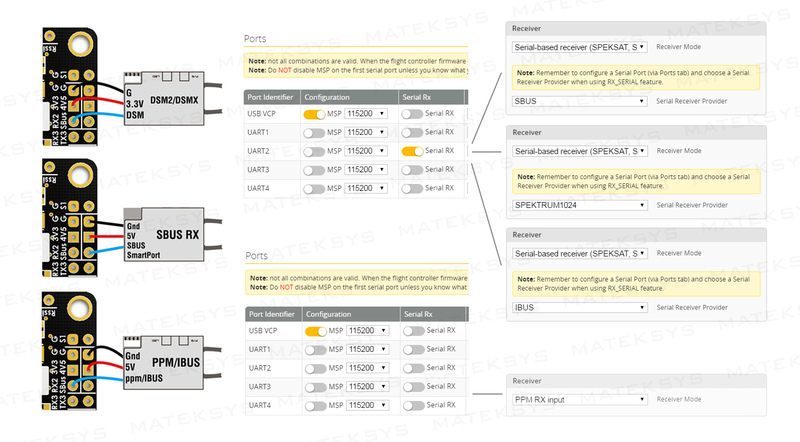 Pls change the Motor idle throttle value back to 5~6.5, so as not to get the ESC desync. Enclosed rubber anti-vibration standoffs are necessary to avoid the vibration woes. 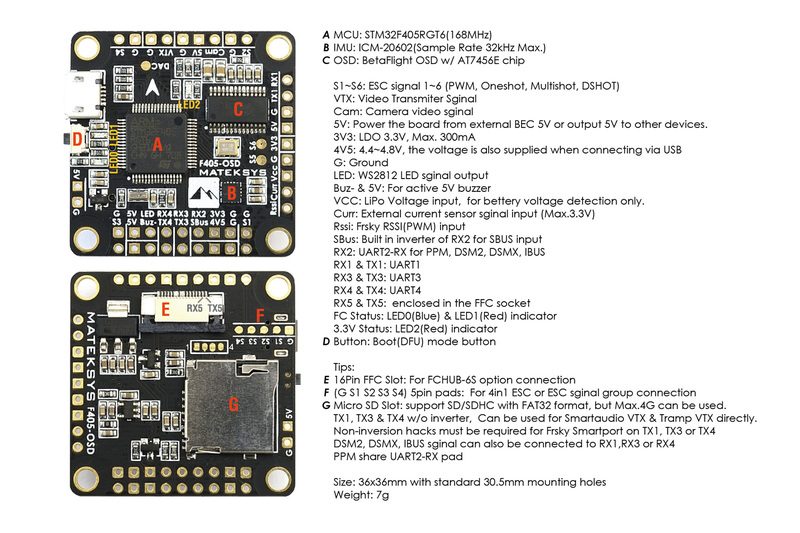 If you use the 5V VTX, Pls power the VTX from the 5V pad on FCHUB. The ribbon cable can’t bear heavy current. 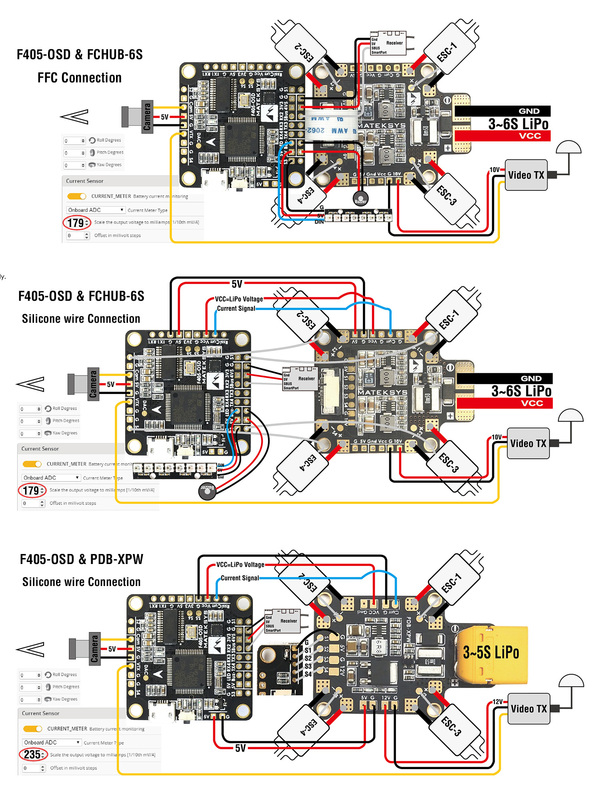 You can also use one pair of silicon wires to connect F405 5V & G pads with FCHUB. If Gyro 32kHz & PID loop 16kHz, Blackbox logging rate 1kHz Max.